Miss Sparkle Success strives to build positive attitudes and educational stability in young girls. We provide a weekend of Self-Esteem Workshops and Seminars for each delegate. 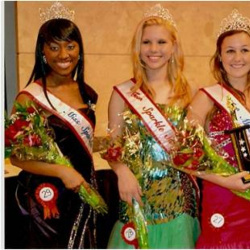 The Miss Sparkle Success organization works with young girls Nationally. We take pride in providing girls with a healthy alternative to the negatives of society. The Miss Sparkle Success experience is designed to serve four purposes; 1) increase positive behaviors; 2) increase achievement and engagement in learning.